Devizes-based steel and aluminium glass company Wrightstyle has completed a major back-to-the-future heritage project in London. The project involved the conversion of a five-storey 18th century commercial building between Marylebone Road and Baker Street into a residential property. The design challenge was to respect the design of the building’s 60 external windows, while upgrading the external envelope to meet modern thermal and acoustic standards. 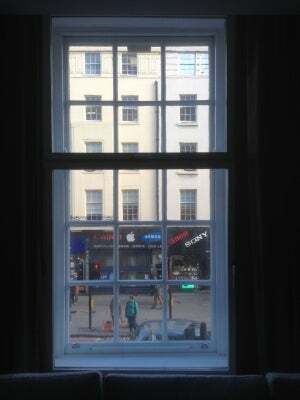 The solution was to use Jansen Arte slimline heritage thermally broken windows in a secondary glazing configuration that complemented the restored external sash windows. Wrightstyle custom-designed and fabricated the Arte systems, which allows for windows in the Bauhaus style to be perfectly reconstructed with ultra-slimline composite profiles. Wrightstyle has also recently significantly extended its system range by becoming a network partner for global building envelope giant Schueco. The Schueco accredited scheme gives customers the assurance that its fabrication and installation partners have been highly trained and approved to supply the company’s enhanced aluminium and steel glazing systems. "The London heritage contract underlines our custom design capability, working in either steel or aluminium, to deliver a complete design, fabrication and installation service, a one-stop solution for all internal or external glazing system requirements," said Lee Coates, Wrightstyle’s technical director.